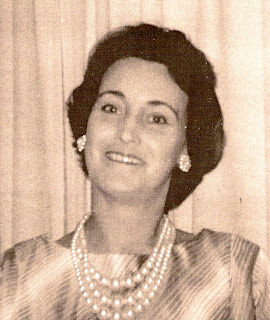 My mother, Betty Louise Meining Gentry Lewis, was the family historian and genealogist. As I was growing up, Mother made a great effort to gather the artifacts of her family. She learned a great deal from her mother, Gladys Gates Gentry who possessed a huge box of old photographs and was able to identify the people in them. Betty wrote numerous letters to known and unknown older relatives, among them, Opal Bibens who was Grandad Ed Gates (Yates) older sister, and Ed's Cousin, Charles Gorman in Laddonia, Missouri, to glean what they knew of the family. The children of our family called Gladys Gentry, Grams, Osborne Gentry was Papa, and Edward Earl Gates (Yates), we called Grandad. Mother interviewed her parents and grandfather during a summer vacation at Tassi, on the Arizona strip. We all sat in the shade of the cottonwood trees as each in turn narrated their memories and Mom took dictation. This was the beginning of our book of rememberance. Without her efforts in the 1960s, we would not have any of these stories of her family now. Betty wrote a sketch of her own life. Because these writings exist, I will let these dear people speak in their own words, then I will tell you what I remember about each of them. I imagine it was a sun-baked day on the high plateau of Colorado, May 30, 1927. The delivery room in Saguache was hushed. A nurse ran into the hallway. "It's a girl," she whispered to the father leaning against the wall, biting his fingernails. "She's so small. I believe her head will fit in a tea cup," the Doctor said. "I worry about her vision." Baby Betty Louise lay on a pillow for her bed, her mother's arm around her. "She's perfect in every way," her mother, Gladys, said. The nervous new father, Otto Albert Meining, was breathless as he entered the hospital room where his wife and premature daughter waited. "She's adorable," he gushed. "Let's name her Betty and Louise after you," he said as he kissed his wife. Otto's parents were John Meining and Emma Snyder Meining. The family moved from Dayton, Ohio to Colorado where Otto met and married, Gladys Louise Gates, the daughter of a local rancher, Edward Earl Gates. Gladys' twin, Betty's Uncle Glenn, carried baby Betty everywhere, holding her on a pillow. "I loved her from the first moment I saw her," he said. Otto had great aspirations and worked hard for the sake of his new family, but in October of 1931, he caught a chill and developed double pneumonia. The doctors at the Salida Hospital tried all the known medical practices, including tapping his lungs, but they could not save him. Otto was only 27 when he died October 26, 1931. Gladys, who is my grandmother, gave me this cute story about Betty. "When Betty was about five, a sheep herder named Horace Sylvester stopped by the ranch at Seven Springs for water. Betty was always on hand to help him and to talk to him. There was a tent boarded to the side of the ranch house for cooler sleeping in summer, before the days of air conditioning. One day, Betty said to Horace, "Me and my mother sleep in the tent. Mama has a pistol, so if anyone come around she can take it out and tell them to 'get.' Nobody would know it doesn't have any bullets in it." I, Betty Louise Meining Gentry Lewis am the only child of Gladys Louise Gates and Otto Albert Meining. I was born May 30, 1927 in Saguache, Saguache County, Colorado. Mother tells me I idolized my dad, yet I have no memories of him. He passed away before my fourth birthday. My first definite memory is when we arrived in St. Thomas, Nevada. I was very tired and didn’t want to walk from the tiny railway station to the hotel through the deep sand. I believe Grandad Ed carried me. How well I remember the mule trips in a pack-box. They put me in a pack box on one side and a large boulder for balance on the other side of the old mule, Maude, and away we’d go for fishing trips down on the Colorado River. I soon learned to ride the mule. One time old Maude got to running with me and I fell off. Mother on her faithful palomino, Polly, was running at break-neck speed to catch her. Mother says she could feel how that horse stretched herself out longer to keep from stepping on me. Somehow, Polly kept from trampling me. Eventually, I learned to ride a horse and loved it. I also remember Osborne Leland Gentry, coming out to Seven-Springs to court Mother. Osborne was the son of Harry Gentry of St. Thomas. The Gentry's owned the mercantile company, a freight line, and the St. Thomas Hotel. I eagerly awaited Osborne's coming, he always brought candy. I thought his car with the rumble seat was real perfection. When they were married, I was beside myself they wouldn’t take me with them on their honeymoon. I stayed with Osborne's sister, Auntie Della Whitmore at the old St. Thomas Hotel. I probably gave her a terrible time. I remember fussing a lot and being naughty. I learned how to defend myself against my rough and tumble male cousins, Gale and Sidney. We moved into a little white house below Overton, Nevada, where Roxton and Della Whitmore lived, for my first, second, and third grades. I was lucky to have a superb teacher, Ella Perkins. She was very good to me and helped me a lot. In the first grade, I played hooky one afternoon with my best pal, Norma Shurtliff. My mother didn’t find our antics very funny, as we managed to saddle up horses and ride alone. The horse I rode wasn’t a child’s horse by any means and we could have been badly hurt. Mother tanned my bottom and I never forgot it. I never played hooky again and learned to be more careful around animals. My Uncle Wayne Gates (Yates) took pity on me and drove me uptown for candy. That was dear of him and I still learned the necessary lesson. In 1934, when I was in the second grade, I had to have my tonsils out because the Doctor said they gave me leakage of the heart. Dr. Hardy had his home and office in the brick house where Billie Perkins lived. Did I fight like a wild cat when they put me on the operating table. They had to call helpers from outside to hold me down. Then when they were half done, and I was waking up, they had to ether me again. So by the time I first came out of anesthesia, I was very silly, and embarrassed my mom to pieces. I told the Doctor, “I feel like I’ve drunk a quart of wine,” though I had never tasted any. My fourth grade was spent in Nelson, also known as Eldorado Canyon, Nevada. The folks tried mining on their own and then Daddy Gentry worked for wages. I had a superb teacher here, Mrs. Elva Petersen. Our school house was a small, one-room building. Here she taught eight grades. She also was a friend to me and I recall her trying to fatten me up by feeding me fresh goat's milk. Her son made friends of the tiny chipmunks. They were so sweet in the cages he built for them. Mother’s health broke and we spent some of the summer in Las Vegas. My fifth and sixth grades were in Goodsprings, Nevada. I had another splendid teacher, Miss Sarah Williams. She was crippled with arthritis, but her penmanship was beautiful. I dearly loved her. Here I had a part in the school play. I was “Columbia Gem of the Ocean.” How big I felt that night and how frightened. My very best pal these two years was Nora Seybert. How we loved to play horses, and chase the local burros. I always loved the outdoors and animals. I was very much a tomboy. At this writing, summer 1962, I still love the outdoors, but health challenges don’t permit much activity. Osborne's sister, Aunt Laura Mae Gentry bought an accordion and tried to teach me to play. I wasn’t one to practice and played outdoors instead. Today I regret it and try to convince my own children to play with the same outcome. Dad Gentry worked down in the Chucheta Mine both years we were in Goodsprings. I always looked forward to payday. Dad always gave me a dime. I bought a root beer and a big hunk candy bar. And at the time, they were big. In 1939, we moved back to Overton where I finished up schooling from grades seven through twelve. I was a hard-working, obedient school girl. I liked all my teachers and had swell friends. I never did anything clever or won school honors—just a B student and a good athlete. Part of our high school time was during World War II, so gas and food were rationed. I only recall two school trips, both for band. I played French horn. During my senior year, I was the leading lady in the senior play. My mother worked on census enumeration many hard weeks in order to buy me a lovely cedar chest for my graduation gift. I never cared for the boys my age. I was tall, so I went out with a few really swell older fellows. I became engaged to (Alkie) Robert Elwood Perkins, Jr. He was a splendid fellow and why I got over him, I’ll never know. Our engagement lasted one year then I called it off. We had many swell, fun times together with our crowd—Lowell Leavitt, Billie Rae Perkins, Caroline and Perry Perkins, “Alkie” and I. We organized many chicken and corn roasts and swimming parties. It was always clean fun and not hurting anyone. 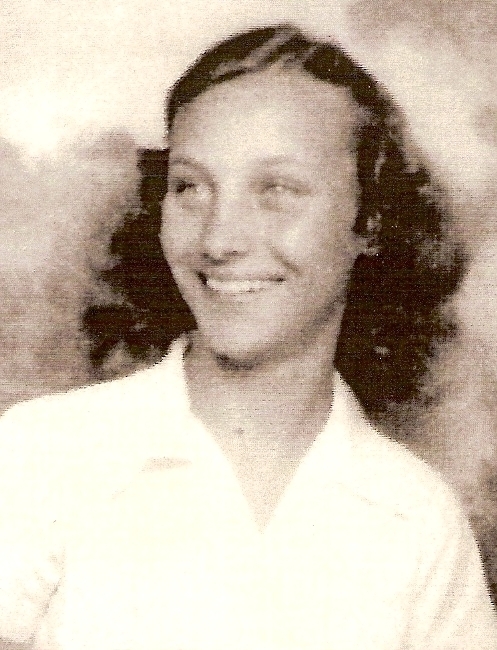 After graduation from High School in 1945, I lived in Las Vegas nearly a year with Ada and Lee Speirs. They gave me a good home. I worked in the Sal Sagev Hotel. During this time we lived out in the Huntridge area of Las Vegas and I rode the bus to and from work. I ate lunches every work day at the old Silver Café and bought a caramel sundae most days after work. We had scrumptious meals at Ada’s every night. ﻿ Clarvid Arthur Lewis and I began going together in early October, soon after his return from overseas duty in the South Pacific. He had lovely brown eyes and was such a charmer. We went together seven months or so. Since we were both stubborn, we had many arguments, but they only seemed to draw us closer after making up. He proposed several times before I finally gave my final, “Yes.” On May 3, 1946, we drove to Las Vegas and together picked out a beautiful six-diamond ring set. It was a happy day for me. After we arrived home, we visited our folks and then the congratulations started. Since I wanted to be married on a Sunday, we chose the first Sunday in June, which was June 2nd. Our wedding day might have been on my birthday, but we thought a Sunday wedding more appropriate. Then began the fun of buying furniture and household utensils. Our first furniture was a lovely six-piece veneer bedroom suite. Then a dinette set and small radio. It was so nice to pick out everything together. That made it more memorable. House cleaning was fun too. The idea of it being my own house soon made drudgery fun. After the curtains were hung, floors waxed, furniture arranged, and all those necessary little details, our little house really looked homey. We had help from our families, of course, and advice, which was very valuable. All in all, we believed everything couldn’t have been any nicer. Our first child ended in miscarriage. We both felt so bad and hoped God would be better to us the next time. Then we were blessed to have Naomi, Malcolm, and Cornel. They were the joy of my life. I loved our children, and our life on the ranch was what I had always dreamed of. I was baptized into the L.D.S. Church, April 8, 1955. It was one of the loveliest memories of my life. The church gave me fulfillment. It was something I was lacking and needed. My Patriarchal blessing did wonders for me during health battles. August of 1957, I had an emergency gall-bladder operation, one I was truly grateful could be performed. I haven’t enjoyed real health since. In 1961, I was finally diagnosed with an incurable blood disease known as Systemic Lupus Ermatoyosis. This ends the brief autobiography Betty wrote. I never thought to ask my mother who she was before she was my mother. Sixteen years after her passing, I found diaries and books containing the lyrics of songs she liked written in her own hand. There were several sheets of song typed song lyrics as well. She was a prolific letter writer. I was among those lucky enough to receive letters from her faithfully throughout my life and some of them survive. Betty kept a five-year diary, a gift from her mother, Gladys, from the age of thirteen through seventeen. Each entry space is filled. She recorded a summary of her day every day for five years. I 'm in awe of the discipline it took. I was able to write in a journal for one summer. At 8:00 p.m. , Mom, Dad, and I went to Bert's. Sid and I went for a ride in Bert's car. He had to buy some gas, so I loaned him 25 cents. It was interesting to see the entries year after year from 1940-1944. Here are all the entries for a particular day of the year recorded on one page of her diary. The next year, 1941, her New Year's Day was spent babysitting for 25 cents. The next year, 1942, the rodeo was 25 cents, but it wasn't very good. In 1943 she records, I feel very well. I read awhile and went to the horse races at Jack's. I didn't go to a show and went to bed at 8:40 . In 1944, she writes, I began the day mopping and doing the housework, then rode Blackie, my horse, then rode around with Jack and family. I had supper with my folks and went to bed at 10:50 . As the diary progressed it showed how diverse her interests were. How she loved life with its many choices. I count this diary as one of the great family treasures. How I love to read her childhood memories. A friend wrote this in one of her school year books. You're the swellest girl with a charming personality that will take you far. I have always admired your golden natural hair. Here's to a very successful Senior year for you and I know it will be. 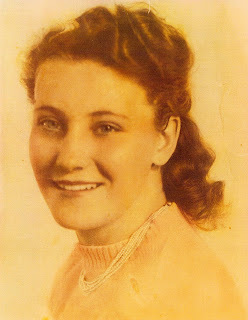 Betty's hair was an important feature, for it would draw the attention of a special man, Clarvid Lewis, my father. Betty was always whistling or singing. We children, begged her to sing "Three little fiddies swam over the dam," again and again. How she must have grown weary of it, but she never said so. Perhaps this is beside the point, but I've thought you one of the loveliest looking girls I've ever seen. Often is the time when I've wanted to say so, but you know how we neglect to do things we really want to. Wishing you success in everything. 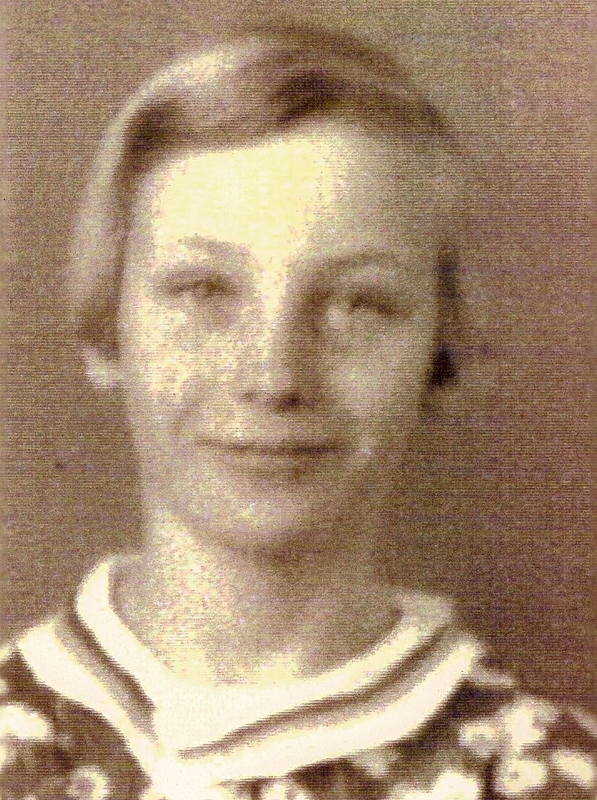 Mabel Aarhus. It was too great for words working with you this year. I shall always remember the brilliant student who pulled us through U.S. History class. You always helped us when we were in a pinch. Keep up your studious nature. You're really such a swell gal and the privilege was all mine to know someone like you. A friend and classmate, Mitzi. I hope you will always remember the fun we have had in Seminary. And the fun we had on the basketball team. And especially the fun we have had in band playing our alto horns. A friend, (I hope) Elaine Hardy. P.S. Policeman! Policeman! Be on duty. Here comes Betty, our American beauty. I'd like you to know that I appreciate your hard work and your cooperation in helping to make the Senior Play a success. I hope you have enjoyed being in the play as much as I enjoyed having you. The heroine, Pam, will be remembered as faithful and cooperative. Ada Bachman. Dear Betty, I wish you great joy and happiness. For three years I had you in my charge and always remember them with pleasure. With all sincere good wishes, Ella H. Perkins. We are going to miss you around the halls of old M.V.H.S. Who am I going to "bawl out" for going down to the Post Office, now that you are going to graduate. Anyway, it has been a pleasure to have you in school. Best of luck. Grant Bowler. Betty was loved and admired by all who knew her. She was friendly, even though she was shy. In the last years of her life, I, Naomi, marveled how she could motivate strangers waiting in a check out line at the grocery store to talk to each other and laugh together. Betty loved to ride. She was a born horsewoman and loved her horses. When still a small girl, I was envious of my mother as she galloped ahead of me. Through my fears and tears, jolting along, she encouraged me to give my mount its lead. It was a smoother ride after that, but it was years before I found the joy in riding she did. Horses were not just animals to her, they were friends. She had compassion if they were in pain or were afflicted. She wasn't afraid to doctor or comfort her pets. We raised many cats as I was growing up. She was forever doctoring and bathing their eyes when they caught a cold, or whatever needed to be done to put them on the path of health. She bought pills from the pharmacy if they need pills. I, personally, would turn that over to the experts, but she was truly involved in whatever she did. I guess as she was growing up they had to do things for themselves. They didn't have the conveniences we have now. I grew up around strong women and never learned that I couldn't do things because I was a girl. I watched my mother, Betty, grandmother, Gladys Gentry, and Great Aunt Laura Gentry do things for themselves. It was Betty's nature to nurture. She was a loving mother and giving friend. She was in her element at Christmas and loved giving gifts to neighbors, family, and friends. Mom was the one who remembered people's birthdays and anniversaries with a card of remembrance. After she was gone, her nephew Murray Perkins told me how he missed her cards. He knew he would always receive one card on his birthday, from Betty. Mother held a conch shell to my ear and I heard the ocean for the first time. I don't know for sure, but maybe she bought it on her honeymoon in Catalina. Mother took me to church where I learned some memorable songs. "My Two Little Hands folded snuggly and tight," taught me how to be in church. And "Give Said the Little Stream, give O give, give O give," is self explanatory, but my favorite began with "The golden plates lay hidden, deep in the mountain side." The music was melded perfectly with the words. How mysterious that song was to me. How I longed to find something that had been hidden. I finally did when I was almost sixty and found Mother's Five Year Diary. I read it nightly, until I had read it cover to cover. Mother was the most honest person I ever knew. Betty loved nature. One summer she was able to stay in Colorado, in the land of her birth, with the Aunts and Uncles who had loved her all her life. Uncle Glenn took her into the mountains. She so wanted to catch a particular kind of fish that summer, and she did, because I found the picture. What pure bliss this is to just quietly lay and take in the sounds of nature, river, birds, and the breezes through the big cottonwood and willows. Who would have thought I would be enthralled with a river. How it rushes, bounding over boulders on its merry escapade. It has its own special roar; sure isn't a lullaby. I feel intoxicated with all the outdoor drama going on around me. How many years have I longed to do what I'm doing these days. The mountain jaunts are even more precious. The sheer beauty to behold has to be God-given. Every sight is full of unforgettable pleasure--the never ending multitude of magnificent pines and aspen, groves that go on and on as far as the human eye can see. The big fluffy clouds are even special dressed in exotic blues. Oh, why am I not a poet so I could put this down eloquently? As ill as you have been, there is still that "sense of humor" that I know is Betty. I am going to try to write an article about a "sense of humor," and what prompted me to do it, Betty Lewis. Betty accepted her illness and did her best with it. She endured a great deal of suffering and endured to the end with faith in Christ. No one loved life more than Betty. I'm amazed at what she accomplished every day. I found a short diary from1952, and wonder at the variety of activities that filled her time. She had two children by then. She mentions our evening romps together, when we were teething, when we were sick and coughing, and our temperatures. Betty was civically active. She took beginning and advanced "first aid" classes. She collected for the "March of Dimes." She voted. Betty had many friends and mentioned her involvement with them on a daily basis. She belonged to a club of several women who met once a month to play canasta and socialize. They rotated from house to house and she mentions where it was held on a particular day. I loved it when we had "club" at our house, because there was always candy, nuts, and goodies left over. Betty wrote letters to her folks nearly every day. She recorded her favorite radio programs, among them Lux Theater and Mercury Theater. The cakes, pies, and cookies she baked were of such variety, I wonder if she taught Betty Crocker. She fed her father-in-law, Clarence Lewis, when he was at the ranch, and the other hired men too. She mentions Henry, the old man who fed the calves, hurting his hip while he was roofing. She took him to the doctor and the hospital. Betty mentions the farm dog, Lady. On March 6, 1952, Lady gave birth to eight puppies. I remember Mother taking me to see the puppies and I petted their soft fur. Dad bought new chicks and Betty took care of them. She kept the accounts of the house and ranch. She mentions when she irrigated, drove tractor, or scrubbed the barn and equipment. Back then, the floors in the ranch house were linoleum. She oiled them. She painted the bedroom and woodwork, and shellacked a chest of drawers. She dealt with car trouble, running out of gas, and the washer quitting. She loved music, especially Mario Lanza. It must have been a big upset when the radio quit one day in 1952. Betty kept track of people's birthdays and sent them cards. She recorded the kind of cake she baked for whom. She made special cakes for each holiday and in the case of Easter, painted eggs. Betty picked peaches, apricots, figs, pears, plums, and tomatoes and canned them. She sewed, picked almonds, picked corn. She butchered and cleaned chickens. She wrapped half a pig, cut the fat into strips, and rendered the lard. She mentions there were messes galore. She wrapped a deer after Sonny, my dad, and Uncle Paul went deer hunting. Betty mowed the lawn, and planted flowers. She washed four to eight loads of laundry, one load at a time, in a day sometimes. She tended other people's children. She cleaned the pantry and papered the shelves. She went to church and served her neighbors. She baked bread. She recorded a family trip to Yellowstone each day, and when she returned home, without missing a beat, she was back into her routine. She mentions when she was dizzy, had headaches and backaches so bad she had to go to the osteopath. The entries never stopped, her schedule never faltered. She rose between 5 a.m. and 6 a.m. and went to bed between 9 p.m. and midnight. She only mentions an hour nap when she was very sick. She recorded her weariness and kept going. Betty, Sonny, and friends went to the movies. She recorded the name of the film, the baby sitter, and how much she paid them. She mentioned the books she read. Once in awhile there's an entry that she rode King, her beloved palomino. I know she kept an immaculate house, I grew up in it, but her diary just reads, housework, "odds and ends." She records the quarrels with my father and when they weren't speaking. Betty recorded on November 15, 1952: "Still sick." She was expecting my youngest brother, Cornel. All these records were kept in a "Daily Reminder" with the space of about one inch by three inches. They were the highlights of each day, succinctly written. Suddenly the entries ended, November 24, 1952, the day before Thanksgiving. I can't help but wonder why. Was she so sick in her pregnancy she couldn't keep it up? Did someone care for her? I remember her saying one time that her heart and kidneys didn't work well when she was pregnant. ﻿ I know there must have been diaries for each year, but I have only found this one from her young marriage, and the childhood "five year diary" from 1940-1944. Betty was ill for years before she was diagnosed with Lupus. Lupus. Lupus is the wolf. He stalked her from upwind and chased her until she was exhausted. He wagged his tail. He went for the kill. She lay pressed between two white sheets, blue from lack of oxygen. A ventilator squeezed air, whoosh, whoosh into lungs too tired to do their job. I stood at the foot of the bed. A technician sweat to insert a life-giving tube into collapsed veins. Lupus. Lupus. Why my mother? Betty, September 1990, two months before we lost her.